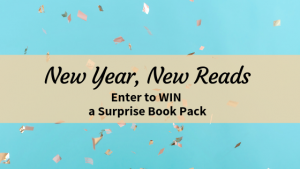 2019 is just getting started and we want to help make it your best year ever with an amazing prize pack full of must-read books! Enter now and prepare to have a wonderful new year! I am a big fan of Robyn Carr, Brenda Novak, Debbie Macomber. All the books look great. Thanks for giving me the chance to win. Good luck to all. Winning books is a great prize. Since, other than Debbie Macomber and Nora Roberts, I dont have a favorite romance writer. I pretty much like them all! There are so many good authors it is hard to pick just one. Would be wonderful to win the books !!! I really enjoy Robin Carr’s books, and I love the Love Inspired mysteries series.